You may wonder why we ran a black and white photo on the cover this week. We run every page in color, week in and week out and I enjoying seeing the design, illustrations and photos in color. This was a conscious decision on my part. As I was briefed on the cover package, which included a mental health resources guide and seven mental health profiles, I knew pretty quickly I wanted the package to run in black and white. For me, removing color allowed me to focus primarily on the emotions of each photo. Color sometimes introduces distractions in the background, on a piece of clothing or something else in the frame. By removing those variables, I wanted readers to focus on the person, only. 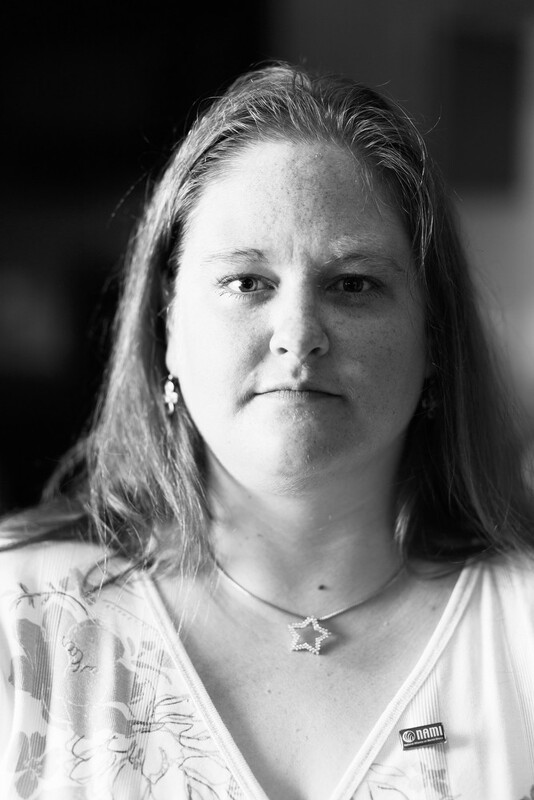 My goal was to take a portrait of each person, and when possible some event or other part of their lives, which is reflected within the issue. For the cover, I wanted to show a tight portrait, face forward with a neutral expression. I didn't want to show happiness or sadness or anger or any other overt emotion. I wanted the eyes to do the talking, which is also why I shot the portrait with a wide aperture, to focus primarily on the eyes and leave as much of the rest of the image as blurry as possible. As soon as I photographed Marieka McPhee, I knew that her portrait was the one I wanted for the cover. Staring right back at the camera, she had a strong and stoic expression that lent itself well for a cover image. Below is the photo before the title text and masthead were added. 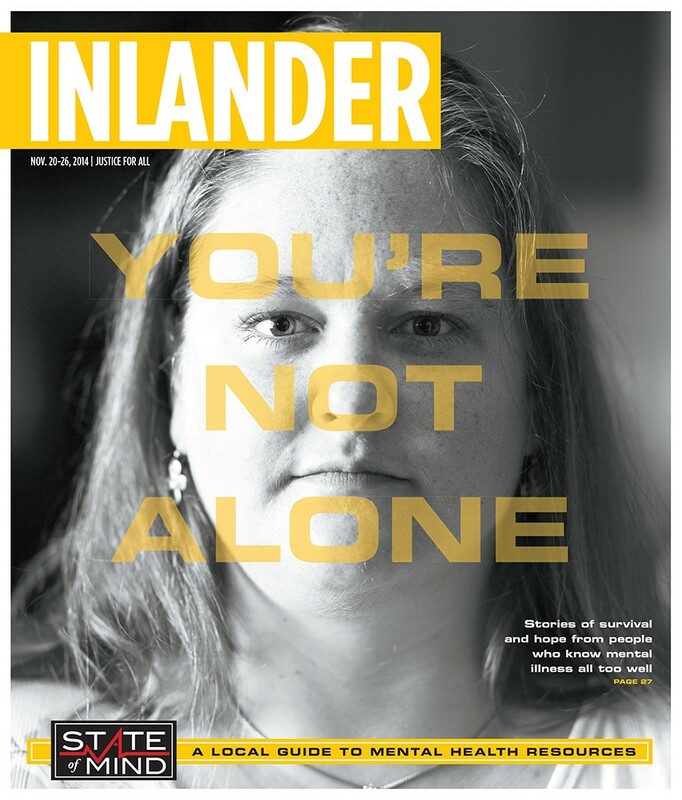 To read more mental health stories from this issue, go to: http://www.inlander.com/spokane/ArticleArchives?tag=State%20of%20Mind.